HTC is baffling right now. On the one hand, the company is hemorrhaging employees and apparently throwing its smartphone business by the wayside despite a record of quality handsets that deserve more love from the public. On the other, HTC's willingness to take long-term gambles on on futuristic tech is admirably daring. The lastest eyebrow-raising move? 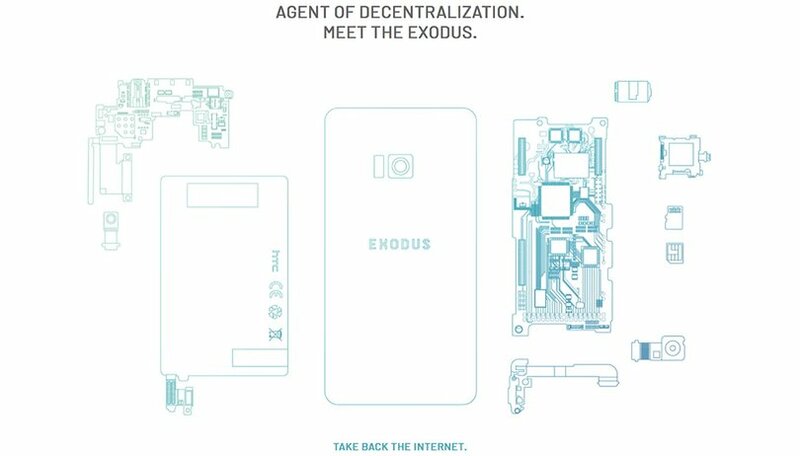 HTC Exodus, the world's first blockhain smartphone. What does AI and machine learning mean for your smartphone? The term blockchain has become public knowledge, above all due to the recent boom in cryptocurrencies. Although the distributed databases behind the name Blockchain are much more useful, the HTC Exodus is also all about digital currencies. The technical feature of the HTC Exodus will mainly lie in the integrated cold wallet, in which crypto-coins can be safely stored and transported. This cold wallet is a separate storage device in the smartphone that is not connected to the Internet. Thus the digital wallet should be safe from hacker attacks of any kind. It remains to be seen exactly how the connection to the rest of the system, which of course also has online access in the HTC Exodus, will look. Nothing is yet known about the technical specifications and further details of the HTC Exodus. Two new partnerships with Animoca and Bitmark will accelerate HTC's progress in this area. HTC has launched its own website for the HTC Exodus, where interested parties can register to keep up to date. The Exodus still doesn’t have a firm release date, but HTC states that it’s planning to unveil the device by the end of the third quarter this year. What do you think of the idea of a blockchain smartphone? Is HTC on to something this time? Smartphone future is in hand of Chinese brands and Apple. Samsung is also facing tough competition. Abrar, I totally agree the Chinese brands are stronger than ever. Flagship's & mid-ranger's. Most are more reasonably priced. Plus Nokia is making a strong comeback. I believe the times they are a changing for the better. With all the competition, hopefully prices will drop! This will be HTC'S final exodus. Blockchain or Blockheads, huh. The final nail in their coffin? 1,000 + for an HTC phone, yikes!